Hollywood’s Elite Venue opens its door for Independence Day Weekend Bash 2014 – Thursday’s most exclusive holiday event inside one of Hollywood’s hottest nightlife venues, Greystone Manor – featuring music by DJ Dirty Draws. Also celebrating the birthday of adult star Chanell Heart, co-hosted by adult film superstars Misty Stone, Jenna Ivory, Yasmine De Leon, Kimberly Kendall, Chase Ryder and Isa Mendez. Make sure to arrive early, dress to impress and be 21/over with ID. 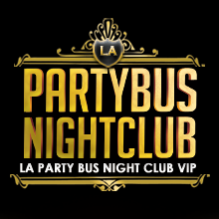 To RSVP, contact Jamie Barren at — Guest List and Bottle Service (310) 749-9029. Greystone Manor is located at 643 North La Cienega Boulevard, West Hollywood, California 90069.